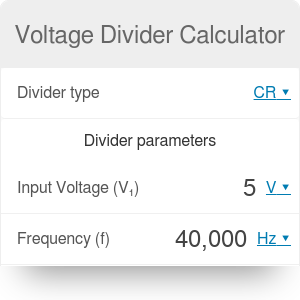 This is a voltage divider calculator - a comprehensive but simple tool, which helps you evaluate output signal (i.e. voltage) that is obtained in a single voltage divider. Read on to learn what is a voltage divider, find out the basic voltage divider formula and how it extends to various equations for different voltage divider types, and learn how it is possible to obtain some fraction of input voltage by applying the voltage divider rule. Additionally, check out the numerous applications of a voltage divider in both basic and incredibly complex systems, and convince yourself that electronic circuits are nothing to worry about! RR composition is the only one applicable to DC circuits. 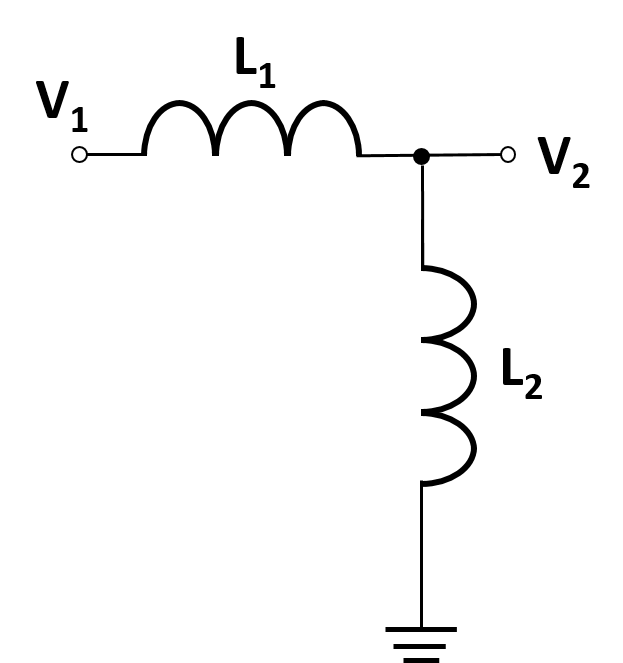 In these cases, any impedance can be treated as a wire with zero resistivity, and capacitances work as a gap in a circuit, so they have infinite resistance. For the rest, they are all used with AC circuits, and the voltage divider rule is applicable for the maximum value of the potential difference. It may also be helpful to find the phase shift for these voltages. V₂ = Z₂ / (Z₁ + Z₂) * V₁. V₂ = R₂ / (R₁ + R₂) * V₁. Since the resistance doesn't affect the phase of the signal, the formula is the same for both AC and DC cases. 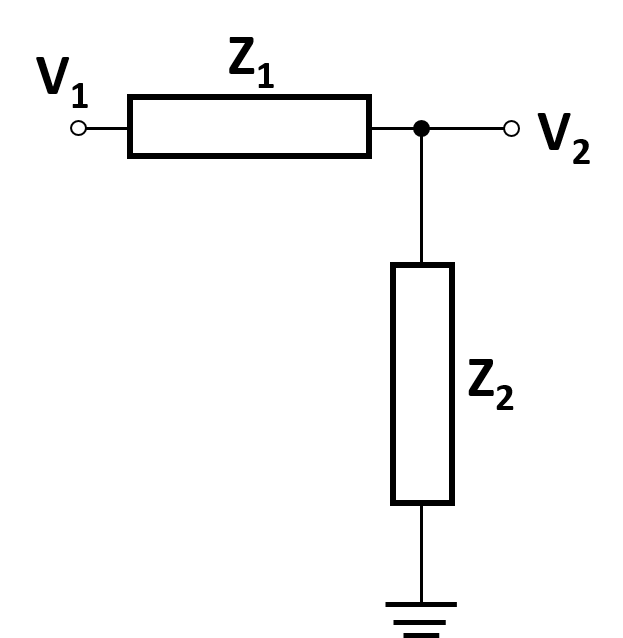 Voltage values at a given moment are compared. As mentioned before, the remaining kinds of dividers are considered for to AC circuits, so let's take a look at some examples. V₂ = C₁ / (C₁ + C₂) * V₁. V₂ = Z₂ / (Z₁ + Z₂) * V₁ = jωL₂ / (jωL₁ + jωL₂) * V₁. V₂ = L₂ / (L₁ + L₂) * V₁. In both cases, the output voltage is in phase with respect to the input phase. Voltage divider circuits consisting of more than one type of element are not as simple to evaluate as the previous examples. We have to deal with complex number algebra, but trust us, it looks more frightening than it actually is. V₂ = Z₂ / (Z₁ + Z₂) * V₁ = (1 / (jωC)) / (R + 1 / (jωC)) * V₁ = V₁ / (jωRC + 1). |V₂| = |V₁ / (jωRC + 1)| = |V₁| / √((ωRC)² + 1). V₂ = Z₂ / (Z₁ + Z₂) * V₁ = R / (R + 1 / (jωC)) * V₁ = jωRC / (jωRC + 1) * V₁. Δφ = atan(1 / ωRC). This time we can see that if the frequency tends towards 0, the same happens to the amplitude of V₂, and, for high values of ω, it remains the same as the input voltage. The conclusion is that CR can be treated as a high pass filter. Circuits containing resistant and inductive elements aren't much different from RC and CR ones when it comes to calculations, but it's worth repeating each step to realize all the subtle differences. V₂ = Z₂ / (Z₁ + Z₂) * V₁ = jωL / (R + jωL) * V₁. Δφ = atan(R / ωL). V₂ = Z₂ / (Z₁ + Z₂) * V₁ = R / (R + jωL) * V₁. Δφ = atan(-ωL / R). Take a look at the outcomes; the V₂ amplitude for RL filter is very similar to CR, and that of LR resembles the voltage amplitude of RC. So do their phase shifts. It's a very valuable outcome because it turns out that RC and RL filters can be used interchangeably when designed in an appropriate configuration, and the values of conductance and inductance are adequately adjusted. It's especially useful for circuits which have to be resized to the nanometer scale since the application of really small conductors is much easier than having to creating tiny coils. Anyway, if you have any trouble with calculating the properties of the output signal, you can always come back to these chapters, or you can just try our voltage divider calculator! Choose a suitable option, and the result will be displayed instantly. Several passive filters have been described above, but voltage divider rule can also be applied with active ones. 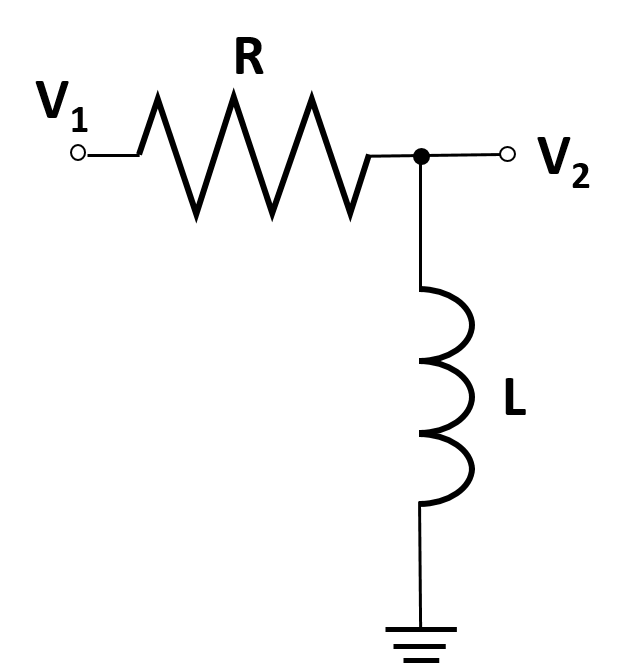 ω = 1/√(L * C). In a more realistic picture, we have to consider also some non-zero resistance, so the problem of the resonat circuits is described in the RLC circuit calculator. What we have already done shows how voltage dividers work for the simplest systems possible. You can obviously imagine that in real life they are used practically nowhere, and, generally, more sophisticated circuits are applied. However, all of the results obtained above can be helpful while simplifying more complex ones. For instance, whenever you can spot resistors in either series or juxtaposed parallel you can treat them as a single resistance. Similarly, capacitors and solenoids work in much the same way. For mixed components, it is evaluated in practically the same way, but we have to take into account impedances Z instead of R, C, or L.
One of the most commonly used devices which works thanks to the concept of the voltage divider is a potentiometer. Another word describing this element is a rheostat. They are usually made out of only resistive components. We can distinguish between both analog and digital ones, but, in any case, the resistance can be set with high precision. Some of the most popular types of potentiometer are slide pots, trimpots, or thumb pots, and these vary by size and structure. The key element is a sliding contact, making the adjustment of the output resistance possible. High voltage measurement devices - It turns out that it is possible to measure high voltages even if the direct measurement can be destructive for the device. In that case, it's convenient to use the voltage divider in order to lower the voltage to a safe region. For exceptionally high voltages (let's say above 100 kV) it is better to use capacitive instead of resistive ones. R₂ = V₂ / (V₁ - V₂) * R₁. Some of you may be wondering why people measure an unknown resistance with a voltage divider when they can simply read the value of amperage that flows through the resistor when an external voltage is applied - just a simple Ohm's law. Well, in general, there should be no significant difference for these methods, but we have to be aware that the resistance of the vast majority of materials is temperature-dependent. Even worse, these dependencies are different for metals, semiconductors, or insulators. Taking into account metals, their resistance increases with the temperature rise, so, in order to define the resistance at some standardized temperature, e.g. T = 25°C, we have to find the thermal coefficient (TCR) of the material. This requires precisely measuring the ambient temperature, and carrying out some calculations, all while hoping that there wasn't any mistake made in the meantime. However, we can do in a much simpler way! As you may have guesses, you could use a simple voltage divider! In the basic version, we have two resistors, and if they are made of the same material, it means their temperature dependencies of resistance is roughly the same. No matter how big is a temperature difference, these resistances change at approximately the same percent, let's say 5% for every 20°C. But, since in general the voltage divider formula has a ratio of impedances, any relative change will cancel and the output voltage should be temperature independent (or at least its impact ought to be significantly reduced). Moreover, if we look at the equation from the previous section, we'll obtain a value of resistance that is the same as the first one at a given temperature - no further calculations are needed! Secondly, it's convenient to use voltage dividers when designing some complex electrical circuits. Instead of using multiple distinct voltage sources, each of which produces a different potential in the system, we can implement a single source and apply as many voltage dividers as we need. On the other hand, we have to be aware of the fact that the longer the wires in our circuit are, the more likely a voltage drop is. Well, it's nowhere near the odds of that for long industrial cables, but still, if we need to make some really precise measurements, that factor should be taken into account, and ideally reduced as much as possible. So far, we've been focused on the processing of a signal - basically, on voltage changes. Still, we can use a similar concept which is looking at the problem from another perspective - called a current divider. Iₓ = Z / (Z + Zₓ) * Iᵢ. We can spot an interesting and valuable property. 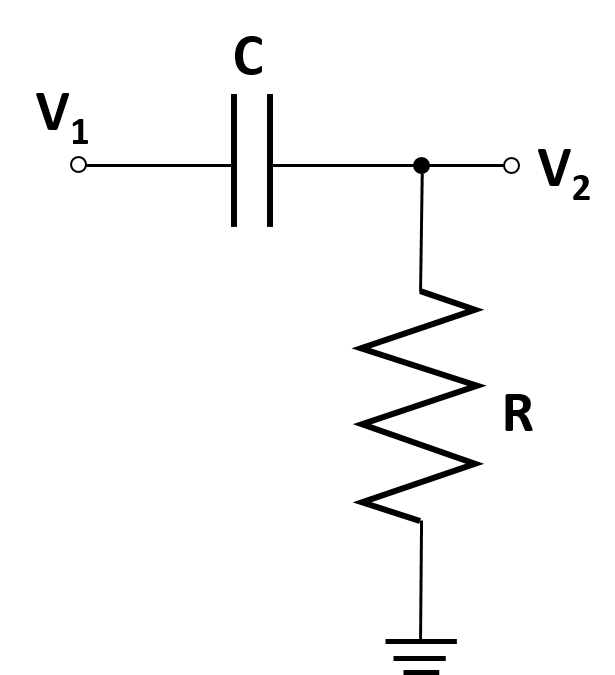 For a voltage divider, the higher the output resistance, the bigger the output voltage, while for current divider the outcome behaves the other way round. Similarly, we can produce different types of current dividers, including coils and capacitors, and all of these are applicable for alternating current, whereas for direct current only the composition of resistors works. In general cases, it is possible to evaluate both the amplitude and the phase shift of a flowing current. We are sure that after reading the step-by-step solutions from this voltage divider calculator it won't be any problem for you to perform similar calculations. Voltage Divider Calculator can be embedded on your website to enrich the content you wrote and make it easier for your visitors to understand your message.